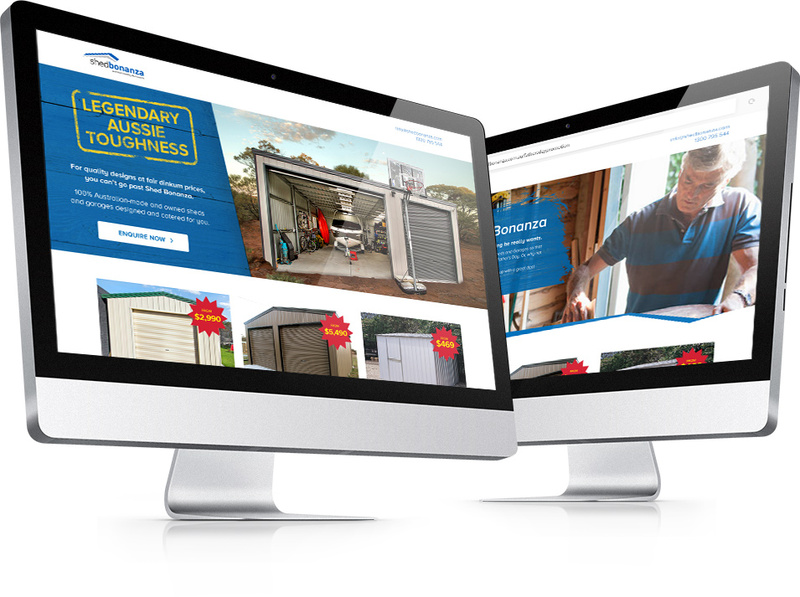 Shed Bonanza were at a bit of a stalemate and wanted to improve and grow their business. They had an agency managing their website and had some print advertising and AdWords campaign in place. 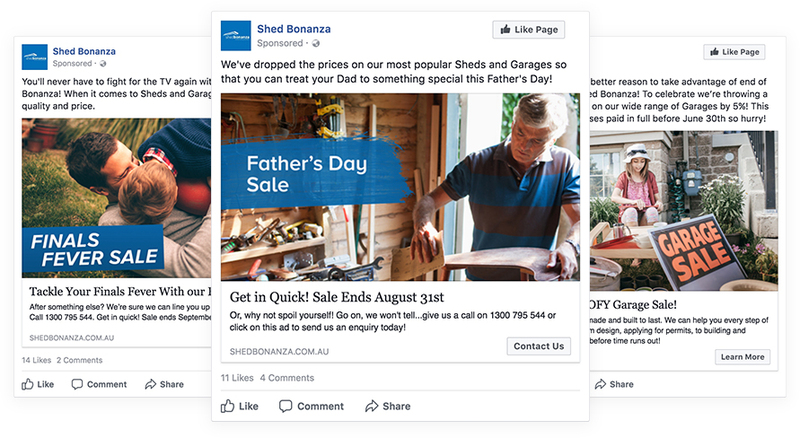 Our question was, how well was all of this working if Shed Bonanza was now seeking further advice to see some real results from their marketing efforts? They needed a new, modern and fresh spin on their branding. It was time to bring the business into the digital age and deliver Shed Bonanza a result that didn’t just meet, but exceeded expectations. After collaborating through the team was tasked with executing Shed Bonanza’s rebrand and the roll out of new print marketing material. To gain an insight into current customers, competitors and the market in general, we ran a number of consultations and creative workshops. This gave us a great basis from which to make some solid recommendations. Rebranding and repositioning were the first steps along with an increase in digital marketing spend. A brand workshop helped us to identify the business personality. To achieve the best results, we worked alongside the existing agency and together we brought Shed Bonanza into the new millennium and added a strong focus on quality and customer service, never losing sight of their Australian heritage and family-owned business. We crafted a strategy that spanned content marketing, email marketing, social media, lead generation and data analysis – carefully constructed to secure both quick wins and long-term sustainable success.